GEORGE Michael is not dead. George Michael has been “arrested on suspicion of driving under the influence of drink or drugs” after his silver Land Rover was involved in a collision with a truck on the A34 near Newbury, Berkshire. Well, so the papers say. In truth, Michael is taken to Lodden Valley police station, near Reading. At 5:55am he is released without charge. He is well. He was not arrested, merely questioned, as is routine. Onlookers feared George, 46 was DEAD as he sat dazed in the mangled motor for ten minutes near Newbury, Berks. And George Michael – how is he? The motor was a write-off and the gay singer – described as “away with the fairies” – survived by a miracle. Only Michael wasn’t out of it. He failed no drink nor drugs test. He was not arrested. He is not dead. Sky News says Michael’s car is worth £80,000, although given the state of his health this might rise (it’s memorabilia, right) or if he’s well, fall (repairs aren’t cheap). Of course, this is the same George Michael who in 2007 admitting being unfit to drive when he watched the light show at the junctions between Cosmic Cricklewood Lane and Hendon Way, North London. Red. Orange. Green. Red. Orange… Anyone else see the lights in the sky? And this means the media must look over his driving history, yer honour. Michael was cautioned by police for possession of cannabis after being found in a similar state at Hyde Park Corner in February, 2007. At the time he issued a statement claiming it was “my own stupid fault as usual”, and later penned a song inspired by the experience. In April, 2007 the former Wham! star was in the news again when he collided with three parked cars near his north London home. In May 2004, he wrote off his BMW on the A40 in Acton, west London, and crashed into railings. Michael’s most notorious brush with the law came in 1998, whenhe was detained for lewd conduct in a public toilet in Los Angeles by an undercover police officer. Does he have an in-car toilet? 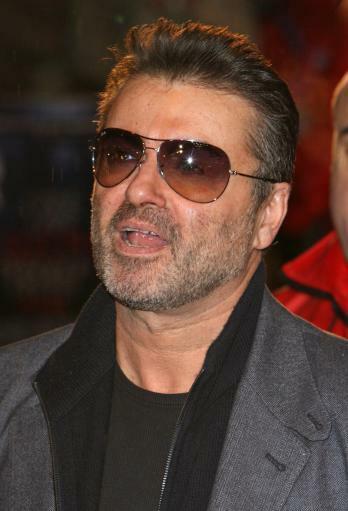 In August 2009, George Michael was involved in a car accident in which no-one was hurt.